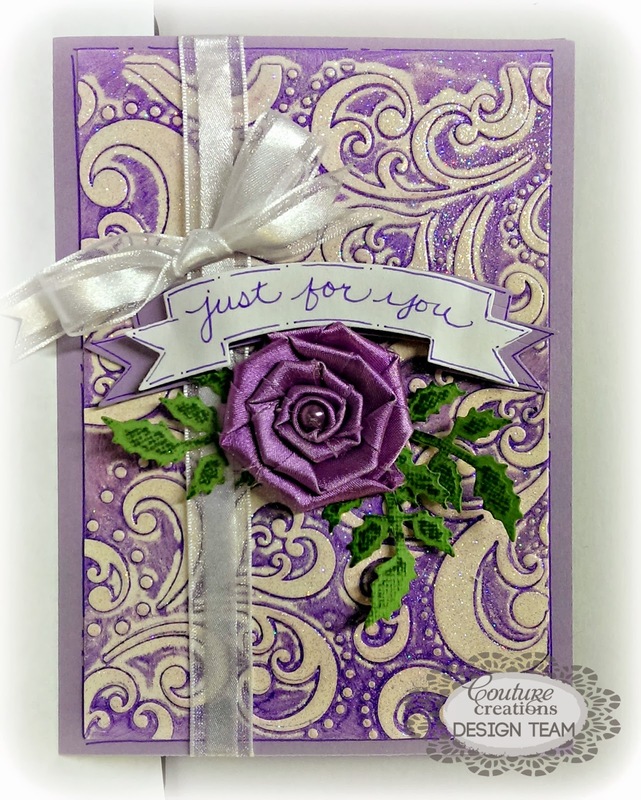 My Pieces of Time: Just For You card! Hi! I have a sparkly card to share with you!!! 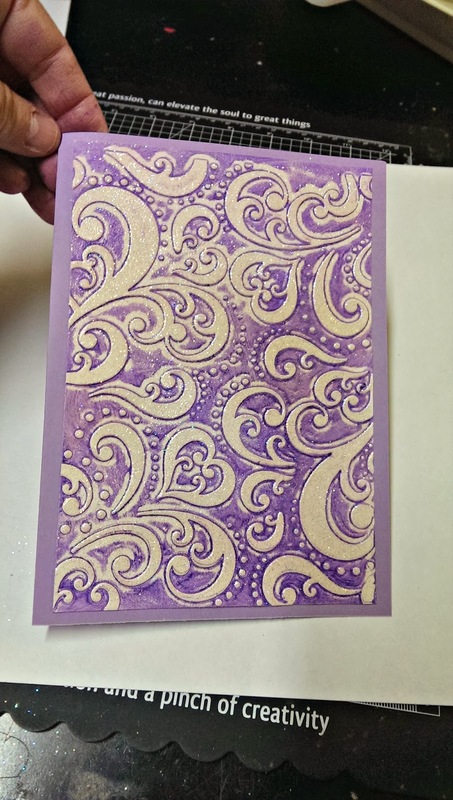 Purple is my favorite color, so I decided to make the card purple! This is a card that I did for Couture Creations. I chose my supplies, I used the Cheerful folder from the Elegance collection. 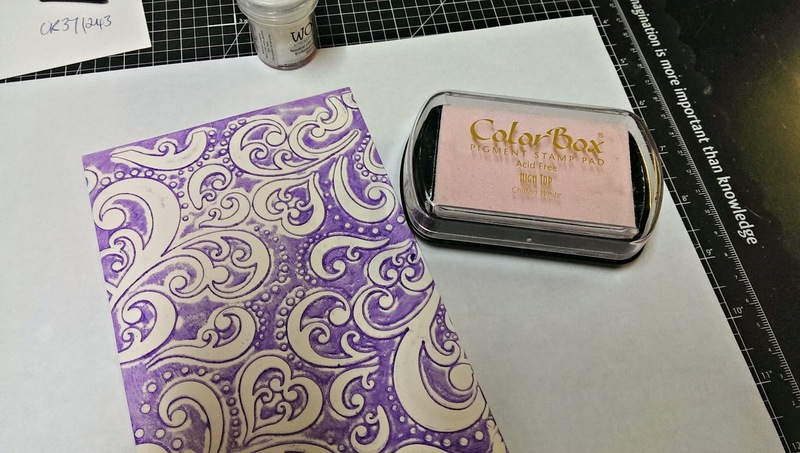 I also used the Banner Nesting dies and the Ivy die from the Secret Treasures collection. 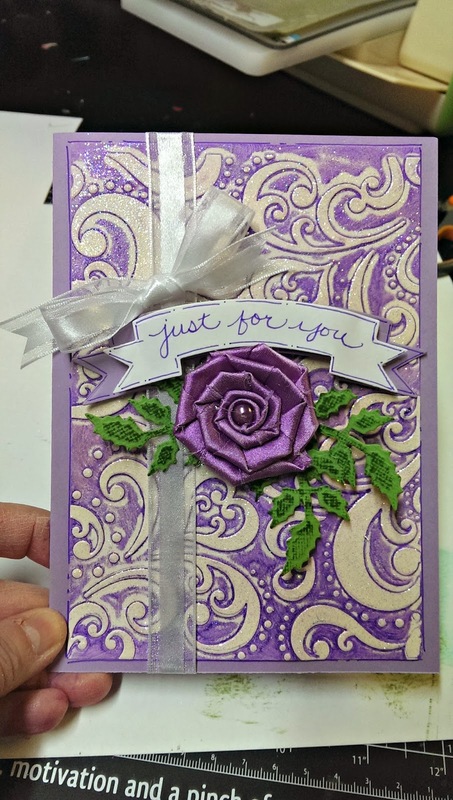 I also chose a purple ink and cardstock. 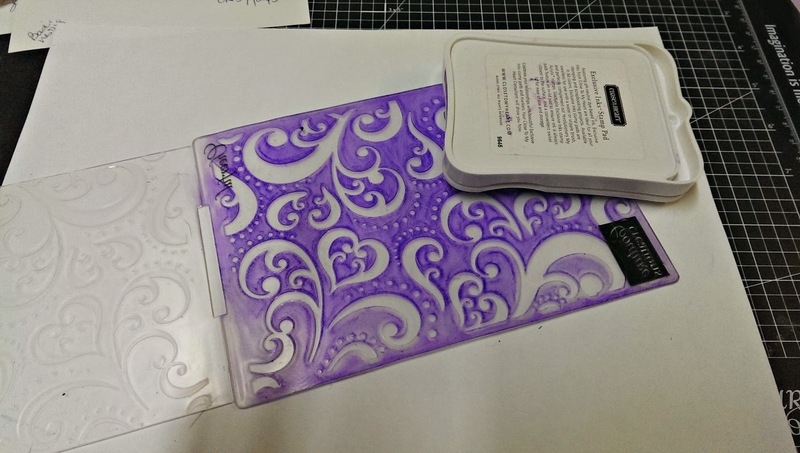 I started by inking the top half of the embossing folder with the purple ink. I used Close to My Heart ink. Make sure you ink it really well and cover it completely. Once embossed this is how it looked. Trim off the excess from the edges. Next, I took a really light, but shimmery ink pad and covered the entire piece. 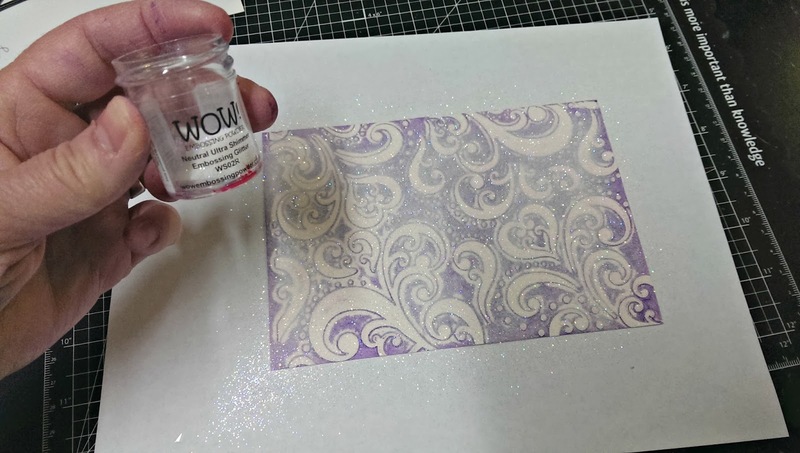 Then covered it with WOW Ultra Shimmer embossing powder. 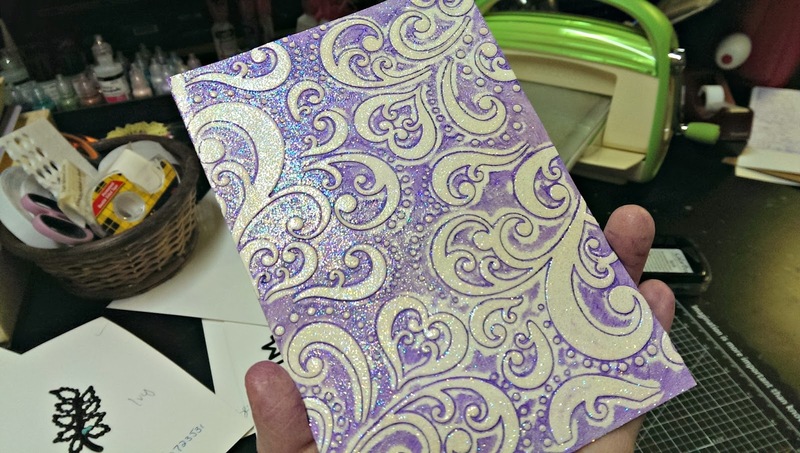 It's hard to see in the photo, but after embossing it has a really pretty shimmery look. This is my favorite embossing powder EVER! 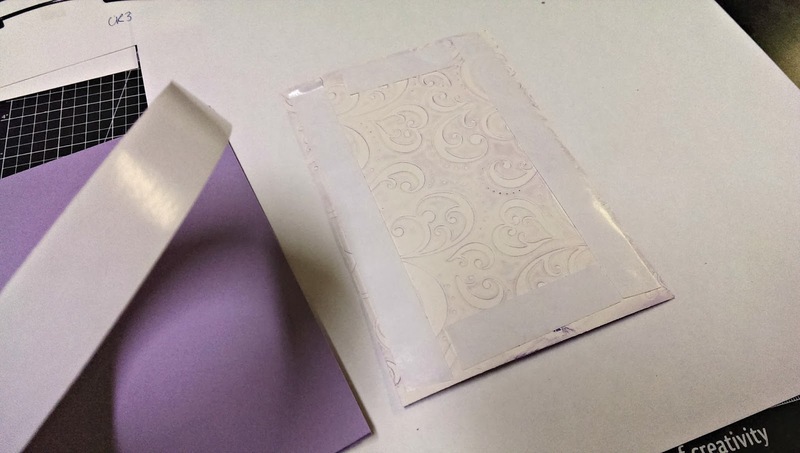 Then I used my Couture Creations double sided tape to secure the piece to a card base made with purple cardstock. The CC tape works wonderfully for heavy pieces like this that tend to "curl" on the edges, it keeps it right in place. 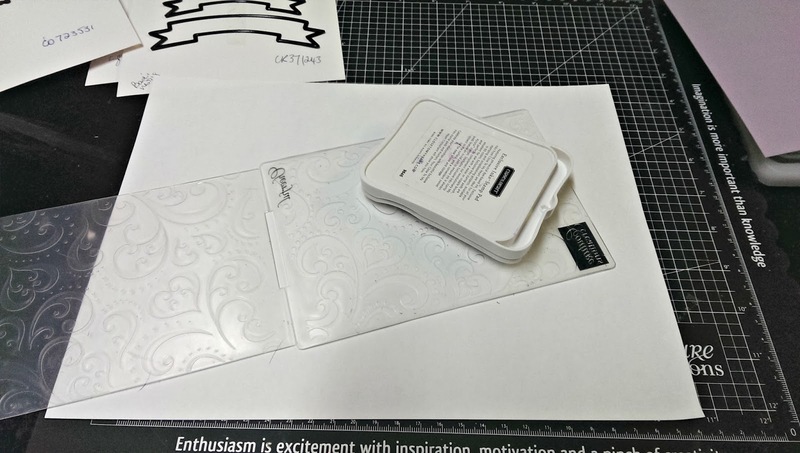 This is the embossed piece adhered to the card base. The colors matched really well too! 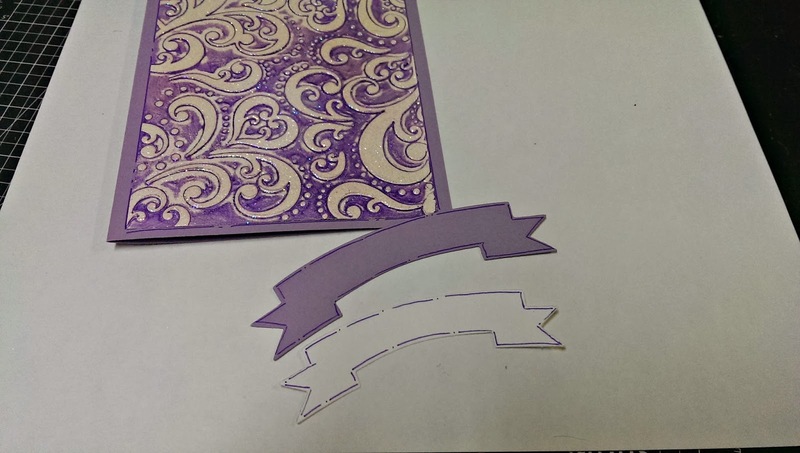 The cardstock is WorldWin ColorMates in Medium Lovely Lilac. Then I cut two of the larger size banners from the Secret Tresures collection. The larger in the purple and the smaller in white. I outlined them with my purple Zig marker. I just hand wrote the title on the white one. For the finishing touches I added a pretty purple bloom from Green Tara, cut 3 of the ivy leaves from the Secret Treasures collection and a pretty white ribbon from Really Reasonable Ribbon! It looks really pretty in person, the pictures don't really show the shimmery embossing. 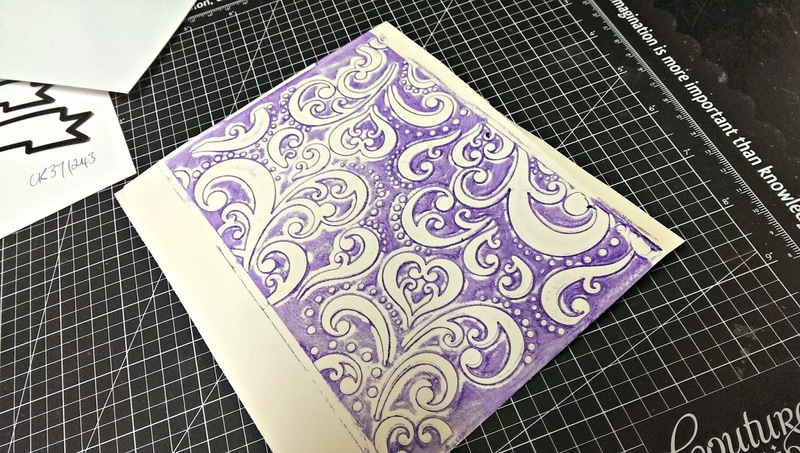 You can do this with any of the Couture Creations folders, there is such a wide array of really pretty patterns, suitable for any occasion card! This looks gorgeous, I love purple too! !